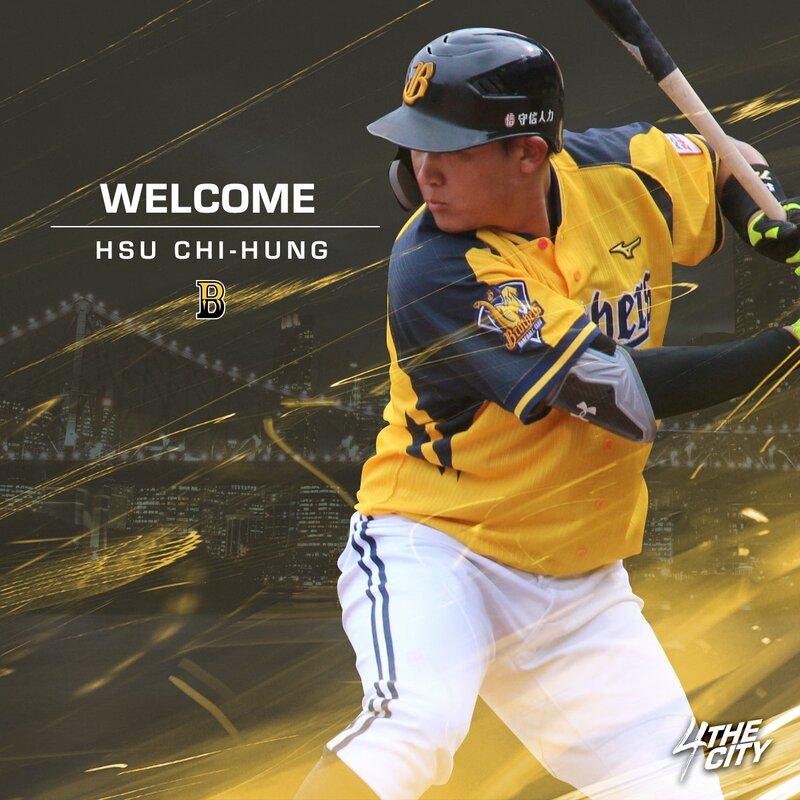 The Chinatrust Brothers will send the power-hitting prospect 許基宏 (Hsu Chi-Hung) to the Brisbane Bandits this offseason for to play in the Australian Baseball League. According to the Brothers’ representative, Hsu will stay in the ABL until the All-Star break and will return to Taiwan in the middle of December. “Hsu Chi-Hung is a strong 6’2 corner infielder with an explosive left-hand bat that will be sure to electrify the fans at Holloway Field this coming season,” said the Bandits’ International Director Adrian Lamb. With limited first team opportunity in the 2018 season, Hsu batted only .191/.387/.340 over 62 plate appearances. Known for his raw power and plate discipline, the fans can expect some fireworks whenever Hsu is at the plate. Apart from Hsu Chi-Hung, the Fubon Guardians’ RHP 林克謙 (Lin Ko-Chien) will also head to the Bandits this offseason. However, unlike Hsu, Lin is in a bit of an awkward situation. Rumour has it, Lin will be on the Guardian’s 2018 offseason release list, as he was not invited to the Guardians’ Fall training camp. Generally speaking, it is a telling sign when an organisation no longer wish to extend a players’ contract. In 2018, Lin posted a somewhat disappointing result with a 9.00 ERA and 2.50 WHIP over six innings with the Guardians’ first team. Whether the rumour is true or not, under the current CPBL rules, the Guardians will have to inform the players they intend to release by November 30. [#ABL Signing News] #Fubon Guardians' RHP 林克謙 (Lin Ko-Chien) will head to @BrisbaneBandits for the upcoming ABL season. The Brisbane Bandits has announced that Lin Ko-Chien will be joining the team for the upcoming ABL season. According to the Bandits’ official website, Lin will feature in the preseason game against the Auckland Tuatara.